De Gallant was launched in 1916 under the name Jannete Margaretha in Vlaardingen. 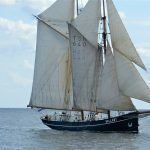 She served as a herring lugger in the North Sea until 1936. In 1982 she was used as a cargo vessel by her Danish owner. Then in 1987 she returned to the Netherlands and was fully restored by a teaching and work experience project for youth in Amsterdam. She now sails in the North Sea, the Baltic and the English Channel as a sail training ship. 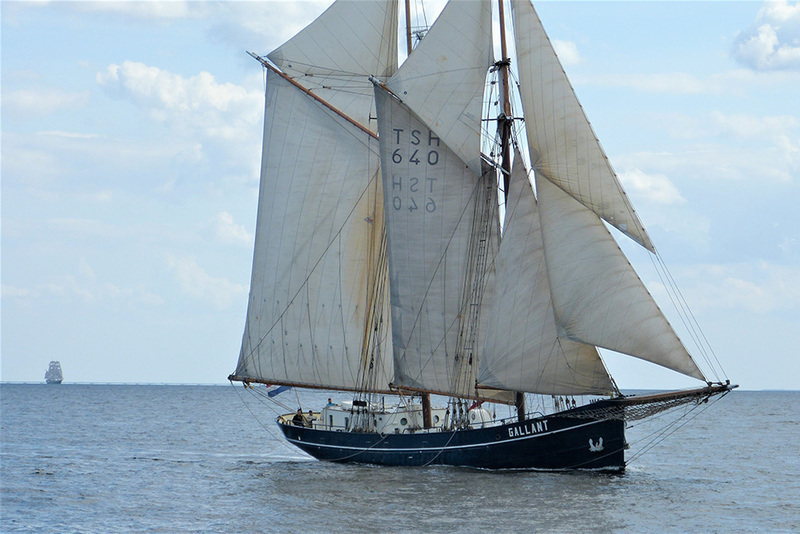 She is a regular participant of the Tall Ships Races. Life onboard Gallant is a great discovery for any youngster. Teamwork is necessary to handle the huge sails or perform any maneuver, and most of the time leads to friendship and even more, creates a tightknit community, very rewarding to become part of. Our very friendly, competent and welcoming crew will make sure you are involved in every aspect of life onboard, and that everyone becomes an integrated part of it. Along with all activities involved, your safety is of course our core concern. 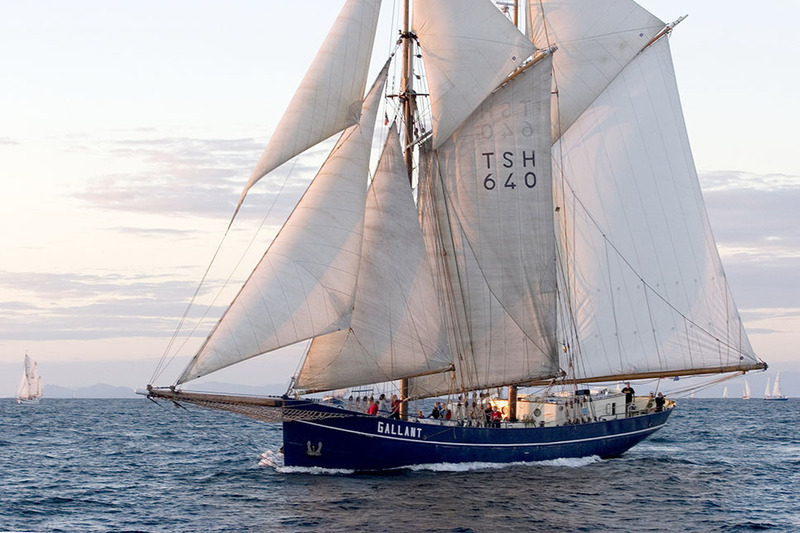 Gallant is a very seaworthy vessel, well known amongst the tall ships community, and she likes to defend her honor very hard in every race… Moreover, Gallant is much more than a vessel: it is a community, and crewmembers of all ages very often gather onboard. A good opportunity to find experience together with enthusiasm amongst us! As a trainee onboard Gallant, you will sail in watch systems, which basically involves two periods of four hours a day: 0 to 4 and 12 to 16, 4 to 8 and 16 to 20, or 8 to 12 and 20 to midnight. During your watches you will be progressively introduced by the crew to every task needed to properly run a ship. Steering, setting and trimming the sails, navigation, maintenance, etc… Aboard Gallant, a great thing is that we are very committed to transmitting knowledge and tradition. Although we are not a square rigged ship, and despite the fact there is no need to climb up the masts for maneuvering, we welcome anyone who wishes to go aloft to do so, accompanied of course by our crew to ensure safety all the time.